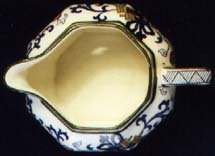 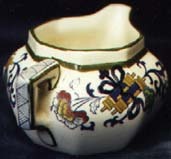 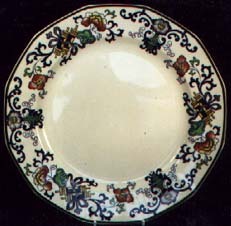 This oriental-inspired border pattern was produced on Doulton's elegant octagonal shape, registered in 1912 (No 597783). 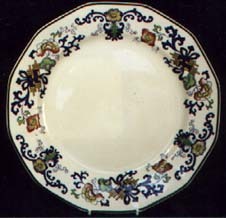 It comes with beautiful green, yellow, red and purple hand-painting over a dark blue transfer. 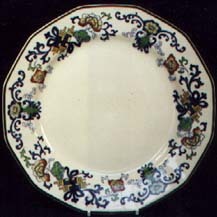 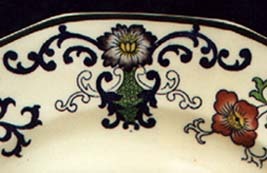 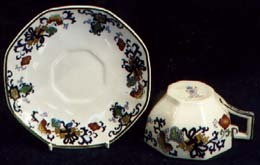 Plates can occasionally be found with a central floral design. 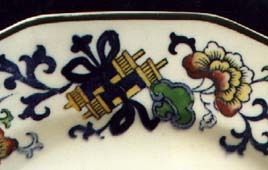 There is a plain blue & white version too, and some earlier patterns have red handpainting instead.